Paypal is considered the best and safest payment gateway to send or receive payments. Most of the companies on the internet prefer to make transactions via Paypal as it helps to send & receive the payments instantly without any delays. 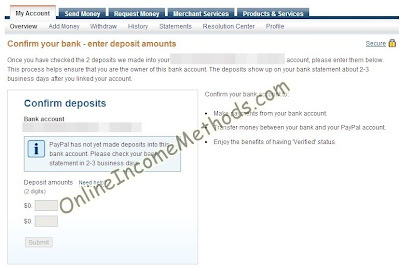 You can later withdraw the amount from your Paypal account to your Bank account in just few clicks. You can also purchase products and services through Paypal from many online retailers or service providers. However its unfortunate thing that some countries of the world aren’t yet supported by Paypal and they cannot use Paypal services officially. In order to overcome this issue and to use Paypal in non supported countries, we will have to take advantage of Payoneer’s US payment service. That allows you to withdraw your Paypal payments into virtual US bank account that will be provided to you through Payoneer’s US Payment service. In addition to withdrawal, your PayPal US account will also get verified once you’ll link it with Payoneer’s US payment service. Afterwards you can link your Payoneer Account with your PayPal US account to lift up / remove any receiving / sending limits from Paypal account. Also make sure not to access your Paypal account with any proxies, else Paypal will place limits on your account and your funds will be freezed forever. 1. First you will be required to Signup for Payoneer Account (Signing up from this link will entitle you to receive $25 bonus from Payoneer). Make sure to enter correct details and you must be at least 18 years old to continue with this service. You will be required to submit your Identity Proof during or after registration process. After completing the registration process, you will have to wait for around 1 month, to receive your Payoneer Account. 2. Once you have received your card, login to your Payoneer Account & please activate it, then navigate towards US Payment Service page. There you have to signup for US Payment service and shall have to apply via email application and have to mention that why do you need US Payment service. You can simply state in application that you want to withdraw your money from Paypal and Paypal isn’t supported in your country therefore US Payment service will be of great help for you. Wait until there comes an email reply from Payoneer and you’ll be approved for US Payment Service. You can use this US Payment Service from Payoneer with PayPal as well as with Amazon Associates Program. See: How to Make Money with Amazon Associates Affiliate Program? 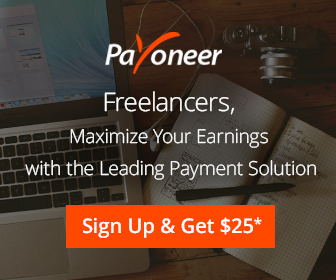 What is Payoneer US Payment Service? The US Payment Service allows you to receive payments from select US companies directly to your Payoneer account as a direct deposit transfer (US ACH). This service provides you with a US account and routing number, to be used by companies you are working with so a direct deposit payment can be made for you. Funds that are transferred to your US Payment Service will be automatically loaded to your Payoneer account once they are received. You may receive payments from US companies including Amazon, PayPal Inc., Facebook Inc, Digital River Inc., ClickBank, AOL, Commission Junction and more. To view the complete list of companies you can receive funds from click here Note: You can receive payments from multiple of the supported companies. The US Payment Service involves a fee of 1% of the payment amount. Further you can read the FAQ about US Payment service. Make sure not to access your Paypal account with any proxies, else Paypal will place limits on your account and your funds will be freezed forever. 4. Now you have to signup for PayPal US account (Paypal for personal use) on Paypal United States website. 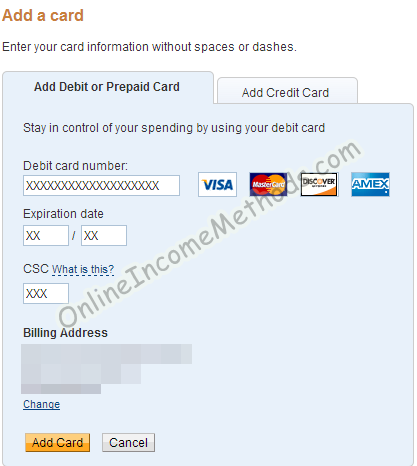 There you must have to enter your correct name and must be similar to what you are using on Payoneer Account. 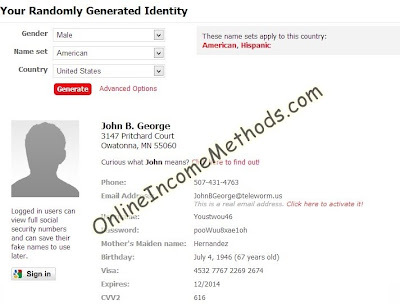 However you have to generate US Address details with FAKE NAME GENERATOR. Please keep in mind that you must only enter the address details from FAKE NAME GENERATOR and your real name must be used, if you will not use your real name, you will be unable to withdraw the money from Paypal to Payoneer via US Payment Service. and Phone number (it would be great if you can manage to enter a US based phone number of any of your sibling, friend or relative living abroad, if you don’t have a valid phone number, you could use a fake one, but that might be a constraint in future. 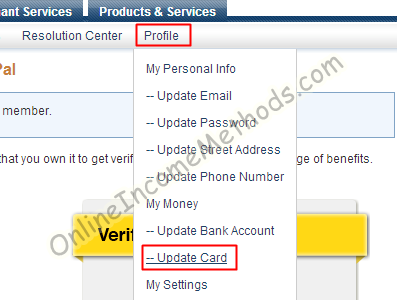 Bank / Credit card details, you can skip them at the time of registration. 5. Click on Get Verified Button after logging into your Paypal account. Paypal will ask you to link your Bank Account, Select CHECKING as your account type & enter the Bank Routing Number as well as Bank Account number which you had received from Payoneer US Payment Service in Step number 3. Paypal will now deposit two little sums of money that will take 2 – 3 days to appear in your Payoneer’s Transaction History (Statement). For instance the sums of money could be $0.31 & $0.69. Since these amounts are randomly generated for every user. You will have to find out these two amounts under the Transactions history of your Payoneer account. You can enter the amounts in any order, since the order of entering amounts doesn’t matter. After entering those amounts please hit submit button. Congratulations, now your Paypal account has been verified and you can easily withdraw your money from Paypal to Payoneer Account via US Payment Service. 6. After successful Bank verification, you can link your Payoneer Account with Paypal to lift up any sending or receiving limits that have been placed by Paypal on your account. Make sure that you have at least $5 – $10 balance in your Payoneer Account before proceeding, as a minor amount will be charged to your Payoneer Account for verification purposes. Enter your Payoneer Account Number, Expiry Date and CSC (three digit security code printed at the back of your card next to your signature area.) Now hit add button. A small amount will be charged to your Payoneer Account for verification. Congratulations you have now successfully removed any sending / receiving limits from your verified PayPal account. After successfully verifying the bank account and linking your Payoneer Account with Paypal. 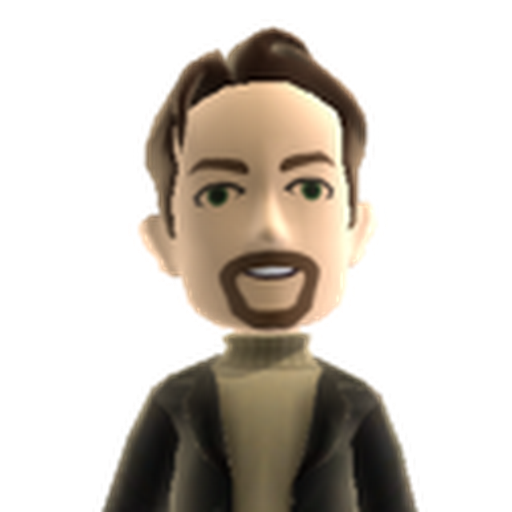 Its status will be verified and all sending / receiving limits will be removed. 7. You can easily receive payments on your Paypal account even in a non-supported Paypal country. 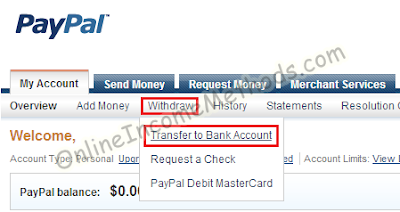 Log into your Paypal account & Navigate to Withdraw > Transfer to Bank Account.Enter the amount you need to withdraw from Paypal to your Bank Account (Payoneer US Payment Service) and click continue. It will take around 3 – 4 business days for your transaction to complete its process. 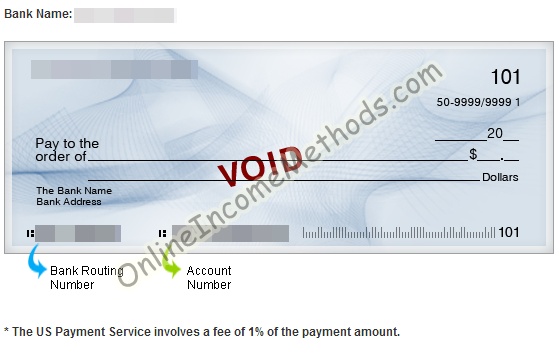 Upon successful transfer of money from Paypal to Bank (Payoneer US Payment Service) it is subject to 1% fee. Later on you can withdraw your funds from Payoneer Account from any supported ATM across the globe. I hope this article will help my readers to easily transfer the money from Paypal to their Payoneer Account. Disclaimer: This tutorial guide to transfer money from Paypal to Payoneer has been created for educational purposes. PayPal’s rules do not allow you to enter false information about your account, so using this method may have a risk of your account termination, as well as losing the funds. So, as soon as you will receive the money at your Paypal account created this way, you must immediately transfer it to your Payoneer Bank Account via US Payment Service. PayPal must also realize that leaving non-supported countries behind by not officially supporting them is the only hurdle that has to be faced by many freelancer and online workers across the globe to receive & withdraw their hard earned online income.